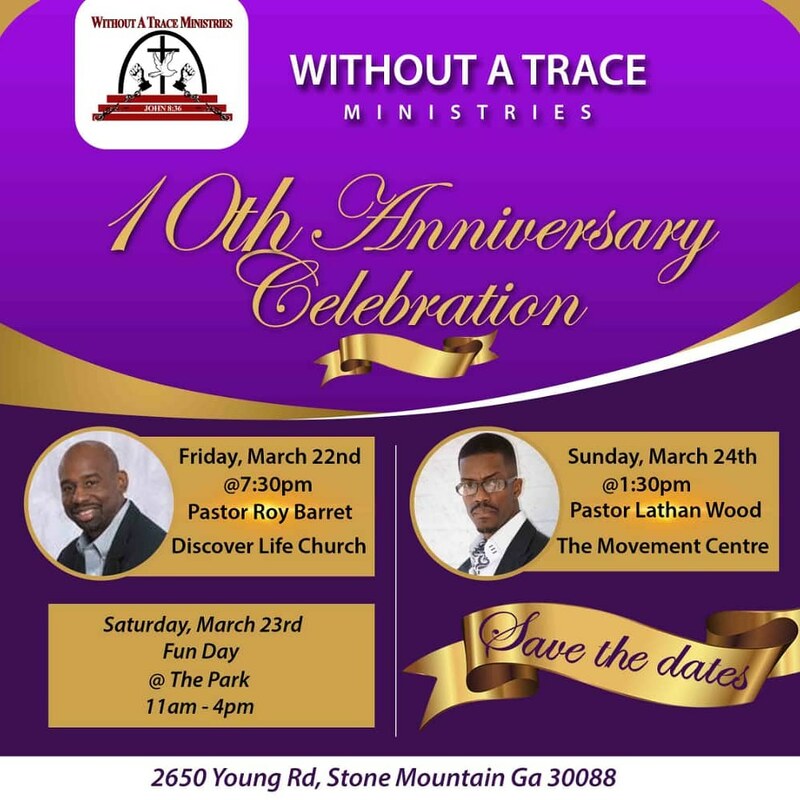 Without A Trace Ministries, Inc. seeks to meet people right where they are in life, but are determined not to leave them in that same state. We will accomplish this through our seminars, conferences, prayer sessions, and radio broadcasts. Times of refreshing will be experienced through our retreats, opportunities for worship and intimacy with God, and our prophetic teachings. We will provide tools and concepts for building healthy relationships using biblical truths so that everyone will be transformed. This is not an experience, but an imprint into the spirit, soul, and body impacting families and communities. This ministry and movement will provide real discipleship and a solid biblical foundation to meet the needs of people who others believe are unreachable such as the homosexual, those with addictive behaviors, the domestically abused, prostitutes, the wounded and broken hearted. We will make the word relevant to deepen the faith of the Christian and offer salvation to the non-Christian.